Watching Brett Farve play yesterday, I kept getting the feeling, that in the cold, dark, days of next March, the Jets GM will be making a call to Houston and asking about one, Sage Rosenfels. That said, the smartest play I saw this season took place during the Jet game yesterday. During a kick-off that bounced near, but not out, of bounds, Leon Washington stuck his foot out of bounds and grabbed the bouncing ball, thus forcing the kickoff to be be considered out of bounds. If Washington had tried to field it at the 8 yard line, he'd had been smothered. By forcing the kickoff to be out-of-bounds, he put the Jets on their own 40. Smart play. And it led to a touchdown. The Philadelphia Inquiror has speculated that Rocco Baldelli could be part of a three-way platoon with Geoff Jenkins and Matt Stairs. Maybe. I don't see it. As I wrote over the weekend, Rocco should go to a team in the AL that could not only use in as a fourth/utility outfielder, but that could also utilize him in a sometime-DH role as well. More from the Hot Stove front. 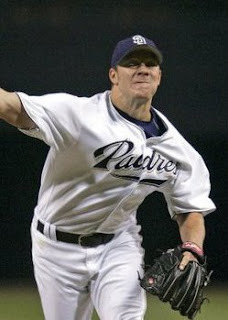 The word is that the Jake Peavy sweepstakes are down to the Braves, Cubs and Dodgers. The Dodgers? Why the heck would the Padres even consider trading a absolute ace, who will be only 28 next Opening Day to a division rival? Peavy, one of the best pitchers in the league—and a guy you shouldn't be trading anyway—could pay you back for trading him for the next 10 years by beating you 5 times each season. So, no.....don't trade him to the Dodgers. The Braves would be the logical choice. The Braves have talented youngsters that would compensate for Peavy. And they are not in the same division. Also, it seems like I was right about moving Jeter to 1B. According to the New York Post, the Yankees are unlikely to trade for Prince Fielder because they plan on moving Jeter to 1b after he resigns in 2010. I agree, while other people see Jeter moving to the outfield, 1b seems like the best fit for Jeter, who by then, will be an aging, 6'3" baseball player who was never cat-quick to begin with. To all the depressed Yankee fans out there, who are glum because the Bombers did not make the playoffs this year, hear this: It was an unheralded trade, this day, 16 years ago, that began, truly to build the last, great Yankee dynasty. On November 3rd, 1992, the Yankees send Roberto Kelly to the Cincinnati Reds for Paul O'Neill and became a fan favorite. 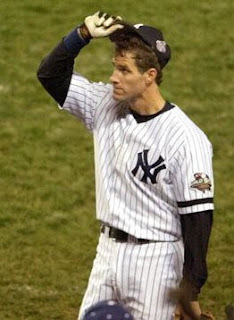 An absolute coup for the Yankees, O'Neill led the Yankees to 4 championships and 5 pennants. 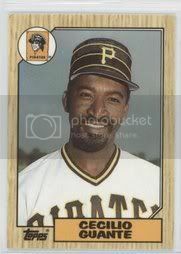 Kelly, on the other hand, bounced around the league—although he didn't play poorly—making one All-Star game for Cincinnati before being traded for Deion Sanders. Hard to argue against Kurt Warner for Man of the Week. Sure, there's Matt Ryan, John Abraham and even Greg Camiarillo (who had 11 catches for 111 yards in the Dolphins win over Denver yesterday), but all Warner did was go 23 for 34 and 342 yards. That's over 10 yards a pass on average. Oh and he had 2 TD passes and no interceptions. All of this he accomplished at the age of 97. Congratulations Kurt. And lastly, congratulations to the Phillies. Heck, I didn't think you had the pitching and doubted you every step of the 2008 season. Congrats for proving me wrong. I heart him too. He was seemingly on every positive play on Sunday.